Here is a baby quilt Cindy made out of solid fabric. This is what is referred to as a whole cloth quilt. Cindy drafted the design onto the fabric with removable markers, quilted the design, then removed the markings. 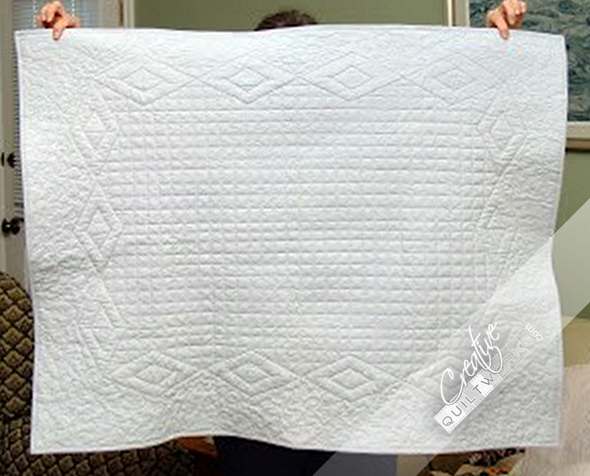 This is a great choice when you don't have time to piece a quilt but want to give a thoughtful gift. Plus they are amazingly beautiful! Cindy is an amazing quilter!